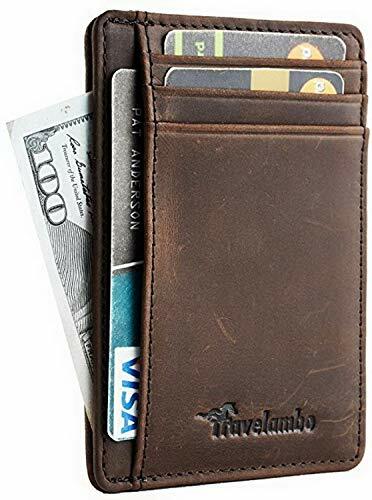 Slim, only 0.12" thick, sizing 3.3" X 4.1" X 0.12"; 100% genuine leather, soft and durable; RFID blocking for perfect protection of your personal and financial data in credit card and debit card; 6 slots in total for standard size cards; convenient to be carried around in your front pocket. If you have any questions about this product by Travelambo, contact us by completing and submitting the form below. If you are looking for a specif part number, please include it with your message.